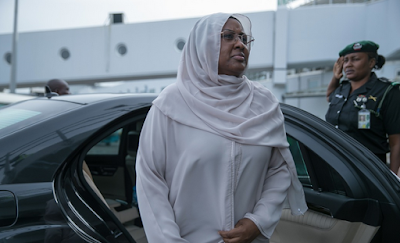 The wife of the President, Mrs. Aisha Buhari, today left Nigeria for London, United Kingdom, to join her husband who has been on medical vacation. A statement by her spokesperson, Bisi Olumide-Ajayi read, “The wife of the President, Her Excellency, Mrs. Aisha Buhari today (Tuesday) left for the United Kingdom. “Her Excellency will spend some time with her husband, President Muhammadu Buhari, who is presently on medical vacation. Mrs. Buhari’s journey came three weeks after her husband embarked on his latest medical vacation.